Interlocutor:... There is a question I want to ask that has intrigued me a lot for a long time... Is it possible to move objects directly with the mind or this can be made only with the help of spirits? Obviously, I refer to the spirits of Error, because I already know that Spirits of Light have nothing to do with that kind of things. I believe that this ability is called telekinesis. Johnakan Ur-El: It is possible to move objects with the mind, because as well as the spirits "make focus" and they can move objects, an embodied being can also achieve it. But remember this: an incarnated being has only a 10% of the telekinesis; the other 90% is with the Thetan. That is to say, if I am a spirit, 90% and I am speaking now, I can make focus and move an object, but maybe my 10% incarnated will not be able to do it, because he only has a 10% of my telekinesis force. Interlocutor: But obviously some people can do it! Johnakan Ur-El: That’s right, but it doesn't mean something important, it is simply an exercise at a certain level. Interlocutor: And that’s the whole story? 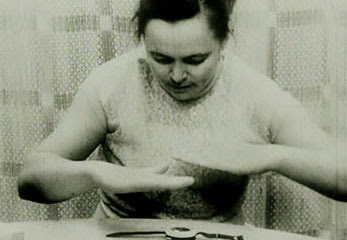 Interlocutor: Definitely then, if the maximum thing the mind can make is performed by Nina Kulagina, then we can say that telekinesis in the physical plane practically doesn’t exist. Interlocutor: Then, any other thing beyond of moving small objects is simply a trick? Johnakan Ur-El: It’ a trick or the spirits of error are making focus behind. Interlocutor: Now I understood clearly. This entry was posted at Saturday, August 01, 2009 and is filed under Mysteries and Enigmas . You can follow any responses to this entry through the .